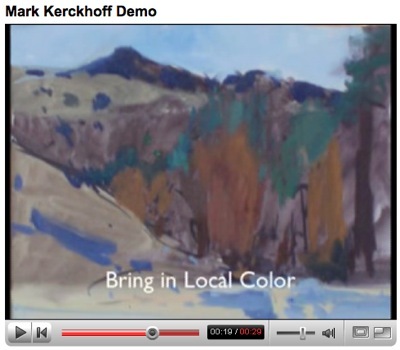 Mark Kerckhoff choose a great location for today’s first day of class, Indian Canyons. 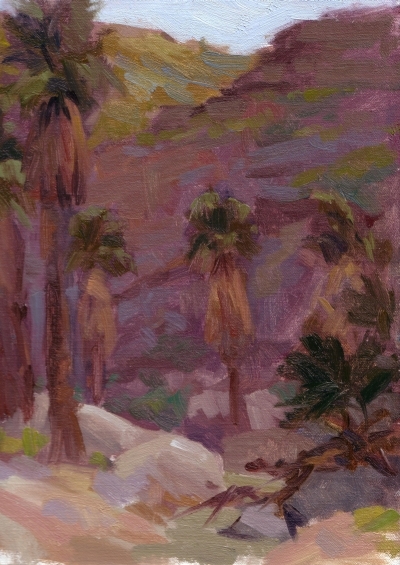 These studies were done in Palm Canyon, at the bottom of the hill from the Trading Post. Mark’s technique is interesting–very different from Camille Przewodek’s. He first draws with Indian Ink and water. You’d think such a drawing would be erased by the first layer of transparent paint, but no! It stays there. I guess this is a good or bad thing, depending on your approach. It may be distracting to have those marks there, but hey, paint’s thicker and more opaque, so it’s easy to cover if you need to. He then washes in his first transparent paint layer based on the landscape planes described by John F. Carlson (from lightest to darkest): Sky, Flat Plane (eg, ground), Slanted Plane (eg, hillside), and Upright Plane (eg, tree). He selects a mid-tone gray wash in the middle of the darkest dark and lightest light FOR THAT PLANE. He then brings up the local color for each object. Here are my two studies for the day. Enjoy! 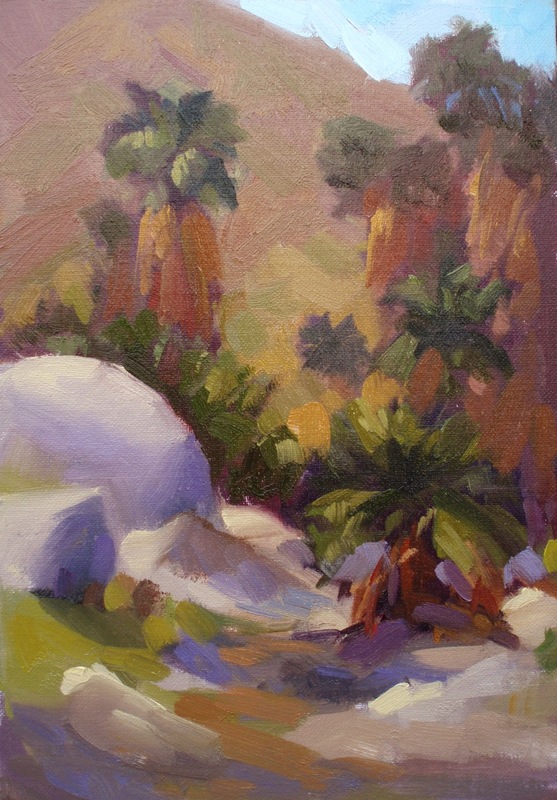 BTW, either is far sale for $100 each–my workshop study sale! Shipping included!